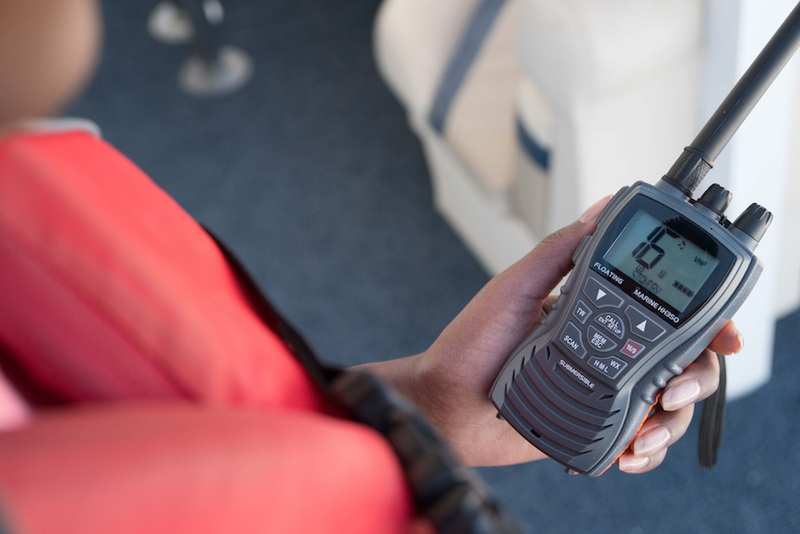 These are common communication devices used by recreational boaters. A boater should carry at least two communication devices that will work when wet. 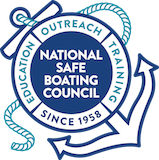 For federal minimum requirements, please review the U.S. Coast Guard: A Boater’s Guide to the Federal Requirements for Recreational Boats and also check with local Marine Law Enforcement Authorities. Flotation Floats in an upright position to transmit. Performs best while floating. Not required to float. Floating versions only float so it can be retrieved if dropped in water. Unit needs to be held out of the water or attached high on a life jacket for best transmission. Not required to float. Floating versions only float so it can be retrieved if dropped in water. Not required to float. Not required to float. Will not work if immersed in water. the better transmission & reception. GPS must transmit signal to a satellite in the Global Positioning System. Must be near a mobile phone tower to have a signal to place a phone call. Activation Either manually activated in or out of the bracket OR automatically activated when out of its bracket and in the water. Manually activated. Manually activated. Either manually or automatically activated. Manually activated. Strobe Light Required to have a strobe light. Not required. Some have flashing LED strobes. Not required. Not required. Not required. Some have built-in flashlights. Mounting Options Mounted in a bracket (automatic or manual deployment), or carried in a ditch bag. Worn or carried on a person. Mounted or hand-held. Mounted or hand-held. Worn or carried on a person. Registration Registered to the vessel. Register here. Registered to the person. PLBs are legal to be used on land as well as on water. Register here. Registered to the vessel and assigned a 9-digit Maritime Mobile Service Identity (MMSI) number that identifies your boat. Register here. Register device on the manufacturer’s website. Registered to the person with the cellular phone company.